The 14001 system has at its core a continual improvement process of Policy, Plan, Do, Check, Review. Items paralleled in both 14001 and 9000 are documentation, records control, internal auditing, corrective action, training, operating procedures, management responsibilities, monitoring and calibration, and management review. Items unique to 14001 include aspect identification, regulation identification, communication, setting objectives and targets, planning, emergency response, and environmental auditing. Basically the environmental management system in 14001 is straightforward. An organization identifies its environmental aspects that it has control over and have a significant environmental impact. Then it develops controls for and monitors those aspects, and documents the process. Objectives and targets for those aspects are set according to the Environmental Policy and plans are made to meet the objectives and target. Then the whole process in reviewed and repeated! Developing an EMS is cost effective even without certification. There is less dependence on a one or two “environmental guys”, more consistency in operations, less long and short term liability, and there are proven systems are in place to facilitate money saving pollution prevention projects. 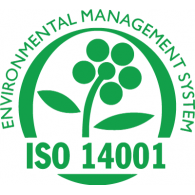 If you have any questions about 14001 in general or specifically its implementation at JEP, feel free to contact Mike Gray (Chief Chemist) or Anthony Jordan (Environmental Chemist) at 716-664-5406.